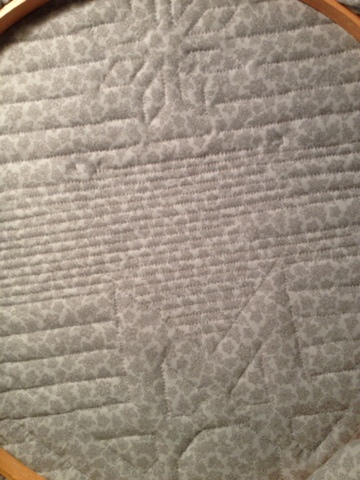 The entire quilt has been hand quilted with one-inch lines going diagonally. The stars are all quilted, and now I begin Part two. Each diagonal is being divided into three parts, as shown here. Good thing I’m in no rush to complete this baby, huh? HELLO! 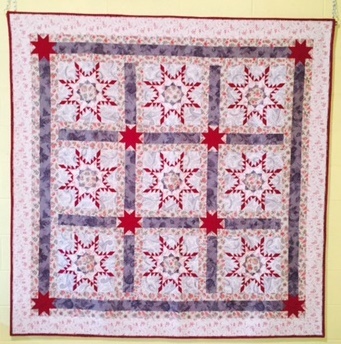 Beautiful work on a beautiful quilt! I like what you are doing Caron! This is going to be stunning! Slow and steady seems to be winning. Yep it's definitally going to take a little while to finish the quilting but it will be amazing :0) Will there be a Part 3? Such pretty fabrics and wonderful quilting. And so close together lines of stitching! No need to hurry something so enjoyable!! It looks lovely and with all that quilting it will be incredible! 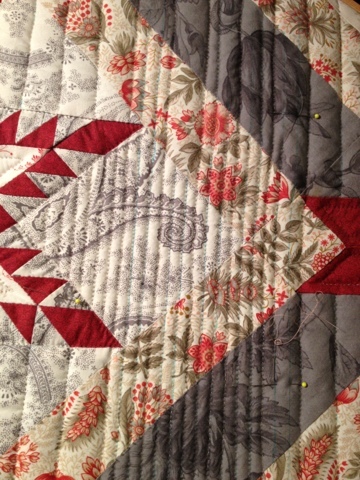 Awesome quilting.Your quilt will be just beautiful.Best late than never.Happy quilting!